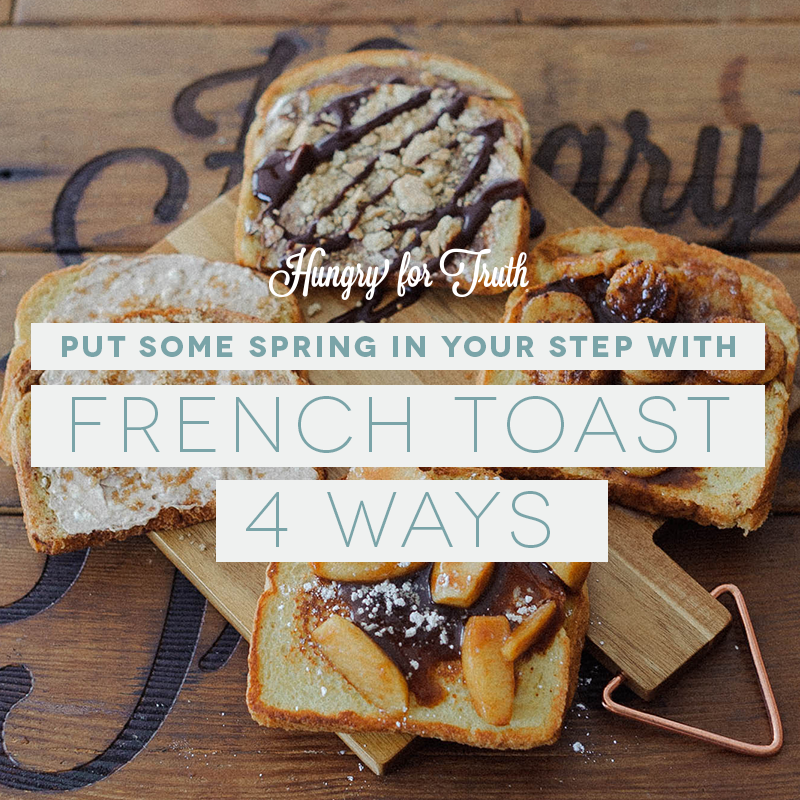 Whether you’re celebrating a holiday, a graduation or the warmer weather, this customizable French toast recipe will wow your loved ones with a twist on traditional breakfast fare. You can’t make French toast without eggs, the ingredient that gives this dish its rich texture. Eggs are not only a nutritional powerhouse with 6.3 grams of protein per serving, they’re also a great, sustainable food to put on your family’s breakfast table. Sustainability is important to farmers who continuously improve practices to do what’s right for the environment to benefit future generations. In fact, farmers who raise egg layers have reduced their greenhouse gas emissions by 71 percent since 1960. Thanks to more nutritious feed made from soybeans, corn, grains, vitamins and minerals, today’s laying hens eat about half as much feed as they once did to create healthy eggs for your family meals. Did you know chickens are especially big fans of soybeans? It’s true. South Dakota layers eat an average of 15,000 tons of soybean meal each year, giving them the energy to lay about 700 million eggs annually! Need something to read while you wait? We’ve got the scoop on what the chickens at Dakota Layers eat. Grease a griddle or skillet and put on medium heat. Dunk slices of bread in egg wash on both sides. Put the soaked bread on the griddle and cook for 2 to 3 minutes per side, until well browned. Once all the bread is cooked, place it on a baking tray in the warm oven and start on toppings. Spread Nutella on one slice and the marshmallow fluff on another slice. Press slices together like a sandwich. 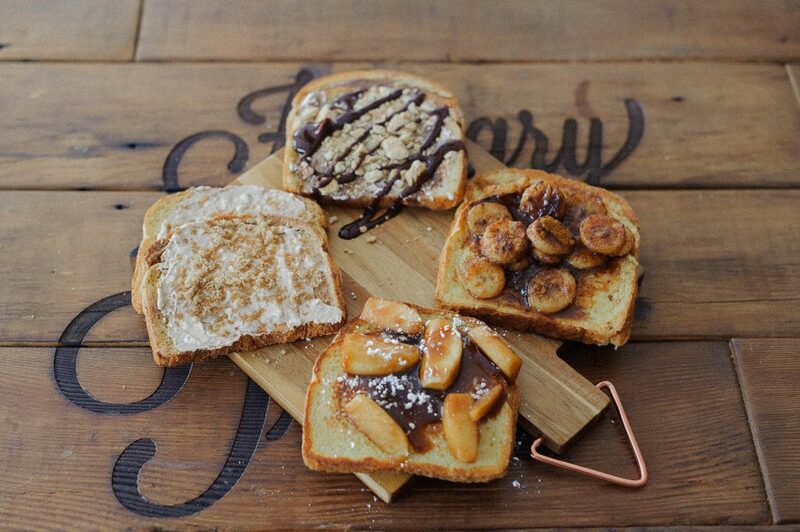 Garnish with crushed graham crackers and chocolate syrup. In a small skillet, melt the butter over medium heat. Melt the butter in a small skillet and add brown sugar. Stir until dissolved. Add sliced bananas and a pinch of cinnamon to the pan. Stir until bananas are warmed through. Pour mixture over the French toast. In a small skillet, melt the butter over medium heat. Add the brown sugar and stir until dissolved into butter. Add the sliced apples and stir. Add vanilla and cinnamon and reduce heat to simmer, cook 6-8 minutes longer. Remove from heat and allow to cool slightly and thicken. In a medium bowl mix cream cheese, heavy cream, vanilla, nutmeg, and cinnamon until smooth. Butter the tops of French toast and sprinkle with brown sugar.